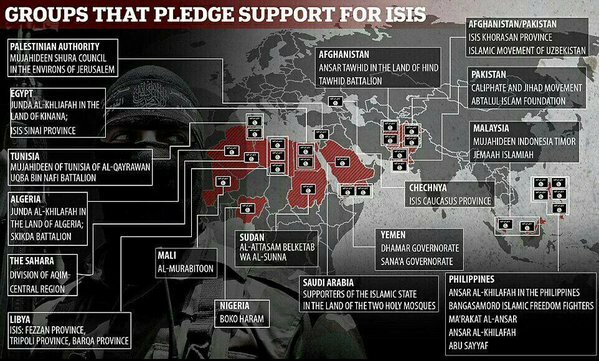 ISIS has now spread its network to 17 countries – not counting its sleeper cells in the West. In his latest Weekly Address Barack Obama tells Americans prejudice helps ISIS proving once again he is complete lunatic. At least he didn’t blame global warming.